SCVHistory.com FF6201 | Tataviam Culture | Louis F. and Mary Padilla Garcia, Daughter Alice, January 1962. 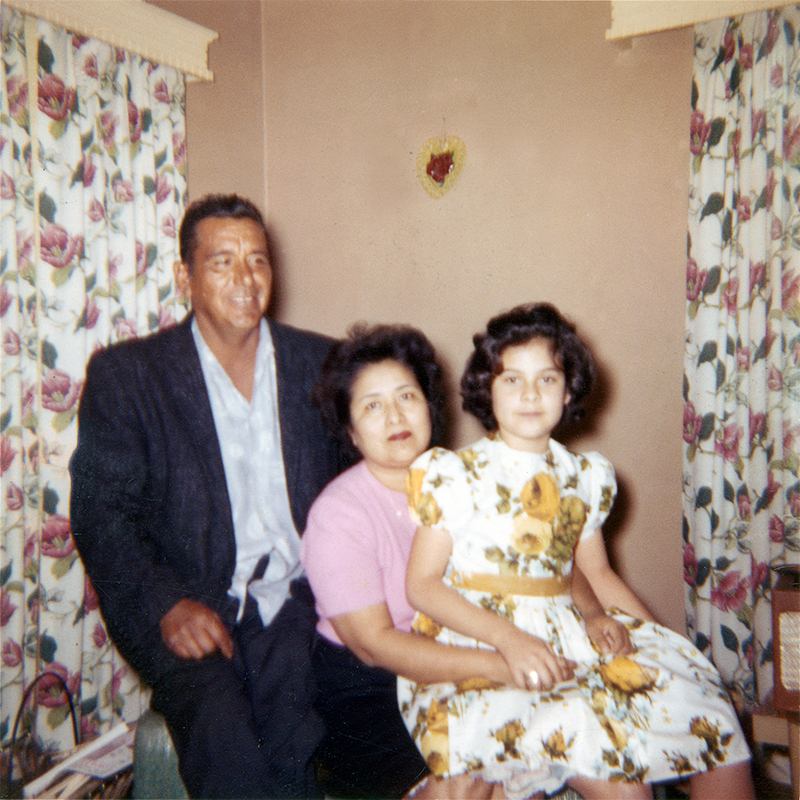 January 1962 — Louis Francis Garcia (April 22, 1922 - Nov. 19, 1966), wife Mary Padilla (Garcia) and daughter Alice Garcia (later Mares). As a son of Chief Mary Cooke Garcia (1901-1975), Louis's ancestry (and that of his daughter Alice) can be traced to individuals who lived in the Santa Clarita Valley prior to European contact in 1769. FF6201: 9600 dpi jpeg from photograph courtesy of Alice Garcia Mares.